You just might have guessed this but I love my Skoda Octavia VRS MK3, its the perfect performance family mover and touch wood is has been very reliable (queue Skoda jokes). Choosing the right tyres for my VRS is vital to ensuring peak performance and comfort, IMO finding the right rubber a must. There are a huge selection of tyres available from many manufacturers, these range wildly in price and performance but many people forget one of the biggest issues with the MK3. Noise. The biggest downside of the MK3 and all previous generations of the Octavia is the intrusive road noise. 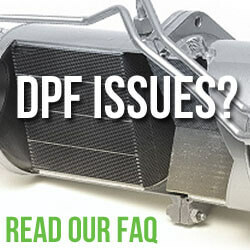 There’s much debate on why this is, from poor suspension setup to the lack of sound deadening. One of the biggest factors to the noise level in my opinion is the tyres, poor sound deadening and suspension is only going to amplify tyre noise, this is why getting a low noise tyre was key for me. If like me you have an estate, you’ll know what I mean. As standard the Mk3 VRS came with two different tyre / wheel sizes. Non VRS versions typically have smaller wheels but have the option of larger wheel tyre combos. Best to check your tyre walls to confirm the exact size you need. From the factory our car was fitted with Continentals (18″). These were brand new and lasted about 12,000 miles on the front and nearly 14,000 on the rear. They seemed to really struggle in the wet, something confirmed by many other VRS owners too. 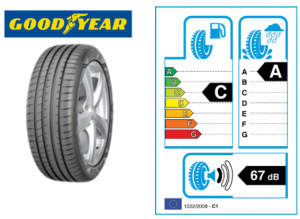 Our tyre of choice is the Goodyear Eagle F1 Asymmetric 3. It’s a high performance tyre offering great levels of wet and dry grip but with one big advantage – noise. They are rated at just 67 decibels. Compared to the Pirelli P Zero’s rating of 72dB – its quite a difference and I our experience cut road noise considerably. With so much performance (namely torque) on tap (running a DTUK box) we were surprised with the grip offered by the F1s. The continentals couldn’t cope at the best of times running standard power so we’d certainly have our reservations in using them if you’re pushing more power than standard through the front wheels. They feature Rim Protection which is great peace of mind if you’re letting the Mrs drive (not being sexist – just my experience). It’s not going to save them from a direct hit but it’s enough to afford a little protection if they get a little too close when parking. 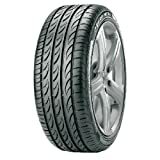 Price wise the Goodyear Eagle F1 Asymmetric 3 seem to retail for around the £80 mark. They aren’t quite budget but not in 3 figures either. Overall the F1 3s are a good all round tyre which tick the boxes for me. The reduction in road noise was our biggest concern with the car (especially with it being an estate) and we wouldn’t hesitate to buy them again. We put this question to the community and opinion was split. Some owners agreed with my recommendation of the Goodyear Eagle F1 Asymmetric 3 however the Pirelli P Zero’s and Bridgestone Potenza seemed to be very popular too. We expected overwhelming support for the F1 but was surprised to see how popular the Pirellis P Zeros were. Which tyres would you recommend? 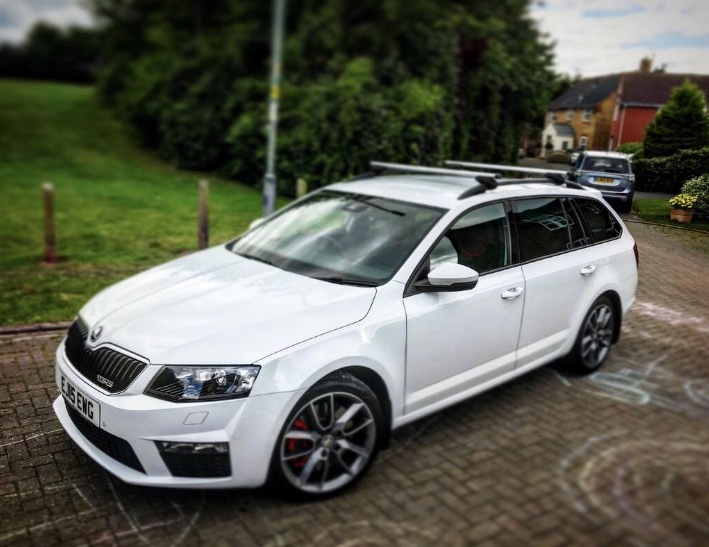 Let hear your thoughts on what tyres are best for the Skoda Octavia VRS and if you have found them cheaper, let us know in the comments below. Great tyres at an affordable price. 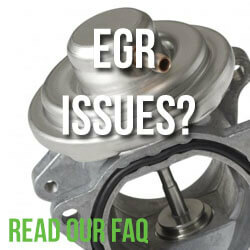 The low noise rating make these a must for those suffering with road noise. I struggle a bit to come to terms with an enthusiastic hypermiler in love with an Octavia vRS, when the 150PS of an ordinary 2.0TDI would seem adequate for progressing legally, but swiftly, and more economically, on British roads. Is he not aware that the surge of torque that he enjoys from the vRS inevitably uses more fuel than a lower powered 2.0 TDI? With a 150PS TDI you then also have a wider choice of “sensible” tyres that will also, inevitably, run quieter, and, one might add, be cheaper to replace! A valid point. However it’s not just the engine in the VRS that makes the vehicle a much nicer place to be. Essentially it’s the same engine and is capable of returning similar fuel efficient with all the extra goodies added in VRS trim. Given the choice again I’d still opt for a VRS over a poverty spec Octavia. The difference is black and white when you’re behind the wheel.